Can robotics, AI provide an edge for retailers? NEW YORK — The digital economy is revolutionizing the retail sector with rapidly evolving technology and a borderless connected world raising consumer awareness and ­expectations. Today’s retailers are finding the demands less predictable, with consumers having access to more channels. 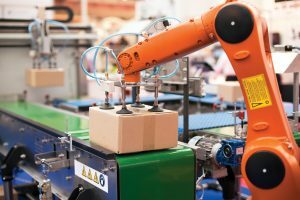 These shifting demands are pushing retailers to look for opportunities to create market-relevant differentiation, which requires more accurate supply chain planning and synchronization and a faster multichannel retail responsiveness that goes far beyond the capabilities of the typical workforce and infrastructure. 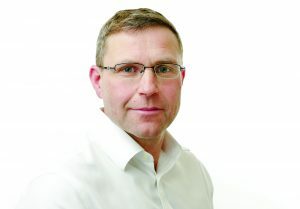 “Managing these increasingly complex situations is posing a problem for some retailers,” said Ruan Jones, manufacturing automation expert at PA Consulting Group, an innovation and transformation consultancy. “Yet artificial intelligence (AI) capabilities can offer enhanced visibility, faster and better-informed decision making and, when linked with higher levels of automation and robotics, provide significant potential for increased flexibility to ensure optimum service levels and reduce service costs. Adoption of AI and robotics automation will become a major source of competitive advantage for those that are able to put it into play,” he added. To put it into perspective, according to “IDC FutureScape: Worldwide Robotics 2018 Predictions by 2020” by IDC, 30% of the top 100 retailers will be using or piloting robots within the ship-from-store fulfilment process, helping to reduce the cost of ship-from-store orders by up to 20%. In fact, many retailers are already piloting programs. For one, Walmart is testing in-store robots to handle tasks that are repeatable, predictable and manual, like scanning shelves for out-of-stock items, incorrect prices and wrong or missing labels. Target Corp. is testing a robot called Tally, built by Simbe Robotics, to keep track of product inventory on its shelves in the U.S. Retailers such as Walgreens are testing a cognitive operational system named Scout from the University of Pennsylvania’s GRASP Lab to help with in-store merchandising and product placements. With Scout, Walgreens is combining machine vision with AI to enable a robot to drive around the store and map out the store’s layout along with recognizing all the products on the shelves. This would allow employees to focus more on interacting with customers, and less on stocking shelves. Additionally CVS Health’s MinuteClinics announced that they are partnering with health care startup Buoy Health to incorporate AI by mirroring the patient-doctor dialogue. Once consumers answer a series of questions regarding their symptoms, Buoy would guide them to the most appropriate setting, provider and/or treatment — with the goal of reducing unnecessary care and lowering costs.